We live in a global and fast changing world. Everything has to be faster, better, further. Anyone who delivers too slowly and does not adapt will be overtaken. Digital Transformation, Digitization, the Internet of Things, Big Data are the topics that move not only the IT world, but even industries that have been little affected by digitization to date. 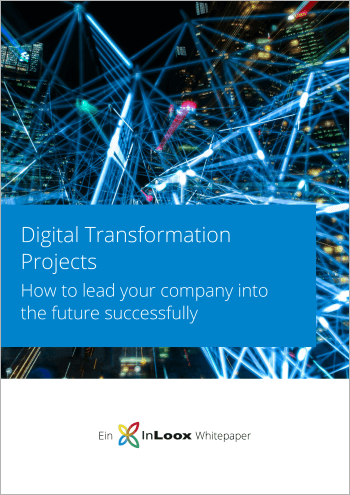 Learn how to lead your company into the digital future and be successful in the long term. InLoox Whitepaper | Digital Transformation Projects • Copyright 1999-2019 © InLoox, Inc. All rights reserved.